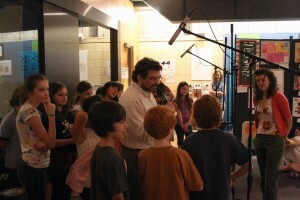 The Waldorf School of Pittsburgh Choir consists of all 22 children in the 4th and 5th grades. Music is a vital piece of the Waldorf curriculum and these students share a knowledge and appreciation that is impressive and deep. In this first year of their conception, we are proud to host them, live on SLB.